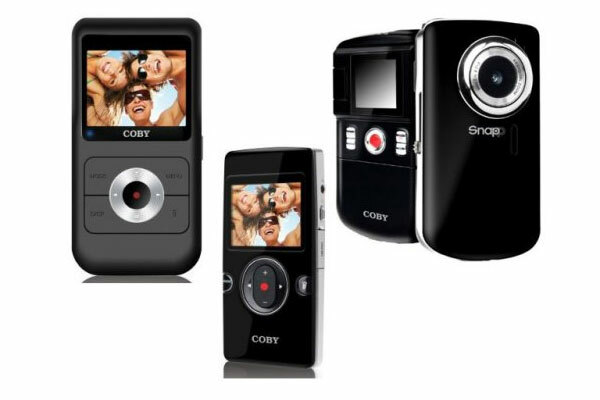 If your looking for a pocket camcorder Coby has just released three new models starting from $29. The Coby Snapp CAM5001 has a 2″ screen and a 5 mega pixel camera with a 4 x digital zoom. With a 720p resolution and 128MB of built in storage capable of being expanded to 16gb via SD cards. Powered by a removable integrated rechargeable lithium-ion battery providing over 2 hours of power. At a price of $78.99 its a great value HD pocket camcorder. The other two Coby Snapp models the CAM4505, CAM3001 don’t record in HD and smaller internal memories and are available for $48.99 and $29.99 respectively.